Mohr Partners, a global corporate real estate advisory firm, is pleased to announce that Eric Beichler, Managing Principal in Mohr Partners’ Dallas office, was invited to serve as the moderator for the Industry Insights High Net Worth & Family Office event presented by The Real Estate Council and Real Estate Deal Sheet. 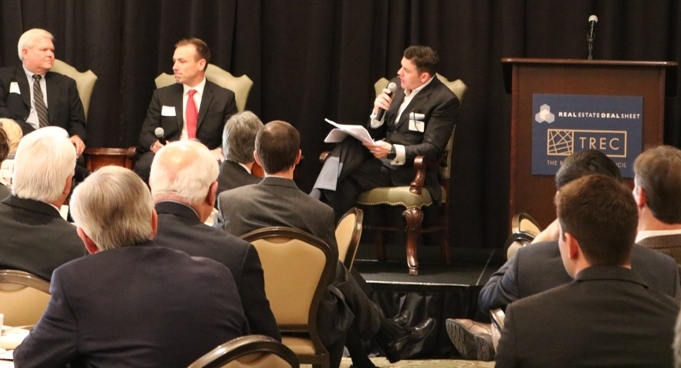 The event was the first of five in this particular series, which was held Tuesday, March 2, 2016 at the prestigious Dallas Country Club. The Real Estate Council is Texas’ largest and most influential organization of its kind representing more than 1,700 individual members and 500 companies that make up 95% of the commercial real estate businesses in North Texas. Commercial real estate is a vital driver of the Dallas/Fort Worth economy that generates approximately 1/6 of the area’s economic output. The organization’s members are developers, builders, brokers, attorneys, architects, investment bankers, accountants, finance and title professionals and more. RealEstateDealSheet.com is a web-based platform designed for the sharing of real-time commercial real estate deal information. The membership-based site allows commercial real estate professionals to search and view details for deals at every stage, from development through acquisition to closing. The site features commercial real estate deals in all product types, including retail, industrial, office, multi-family, healthcare, land, and hotels. RealEstateDealSheet.com also provides a place where commercial real estate professionals in all specialties, including developers, brokers, lenders, equity investors, and buyers/sellers, can connect with each other and increase deal flow.